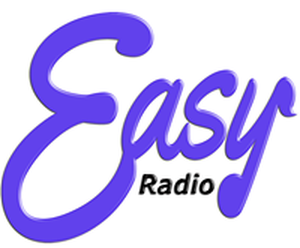 Here at Easy Radio we carefully select each song that is played on our station. Songs have been written abou t every topic imaginable. At easy radio we are carful to listen to what our listeners are telling us. We are constantly adding new songs to our play list. From the swooning ballads of the 50’s and 60’s right up to the present day — Love songs have become a big part of who we are. Wherever there is a love story there also you will find a love song. Where there is a broken heart there you will find a love song. Everyone has that one love song that reminds them of a special person or event. Sit back and enjoy the greatest love songs of all time from artists and groups like Elton John, Cliff Richard, REO Speedwagon, Journey, Kenny Rogers, Richard Marx, Whitney Houston, The Commodores, Olivia Newton-John, Phil Collins, Sheena Easton, Spandau Ballet, George Michael, Cyndi Lauper, Bryan Adams, Roxy Music, Madonna, Lionel Richie, The Bangles, Billy Joel, Bruce Springsteen, Michael Bolton, Stevie Wonder, Barbra Streisand, John Lennon, The Spice Girls, Sade, Sandra, Paul M Cartney, Meatloaf, Kylie Minogue, Hall & Oates, Barry White, Michael McDonald, Nick Berry, Mariah Carey, Cher, Patti Labelle, James Ingram, Taylor Swift, 10cc, Neil Sedaka, Lisa Lisa & Cult Jam, Barry Manilow, Take That, John Denver and many more. Kick back and listen to your favourite love songs back to back and commercial free on Easy Radio-Dublin.